For this week's giveaway, we've teamed up with Scosche to offer MacRumors readers a chance to win one of the company's MagicMount Pro Charge wireless chargers. Priced at $69.99, the MagicMount Pro Charge is a versatile, upright wireless charging mount that can go anywhere, offering charging capabilities and easy access to the iPhone wherever it might be. 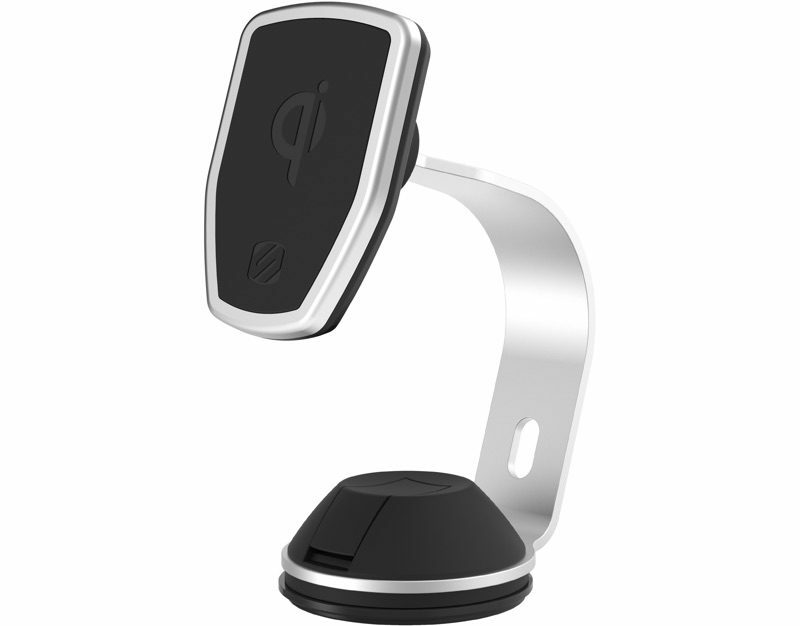 You can use the MagicMount Pro Charge on a desk, in the car for access to maps, in the kitchen for viewing recipes, and more. The MagicMount Pro uses magnets to hold your iPhone in place, with no base or cradle required, keeping it at an optimum viewing height with an unobscured display and accessible ports. There are magnets built into the MagicMount Pro Charge, which work with a metal MagicPlate that attaches to the iPhone. 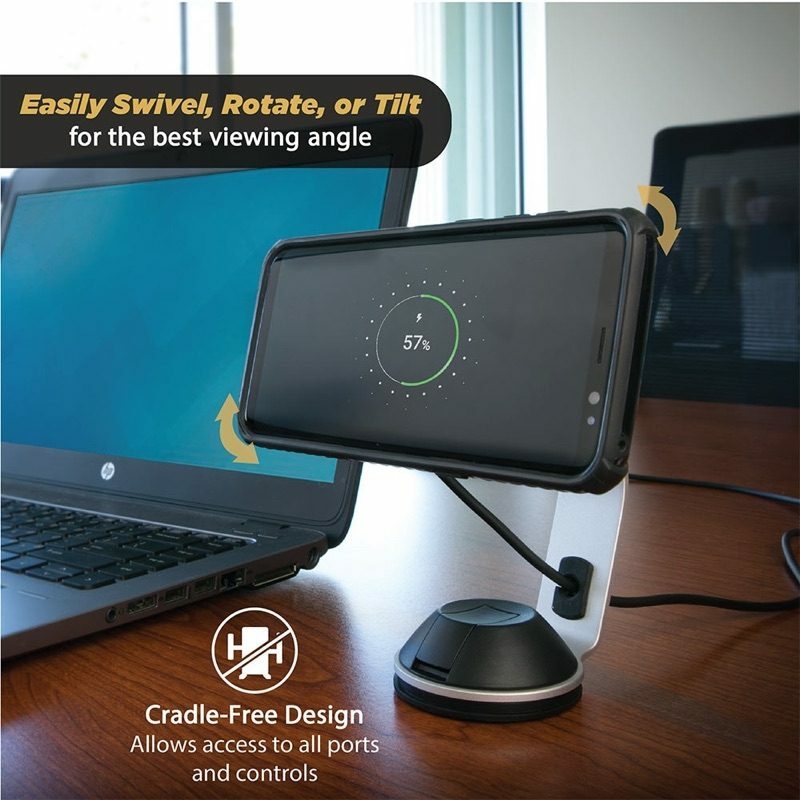 The magnets do not impede wireless charging, with the MagicMount Pro Charge offering 7.5W charging for Apple devices and 10W charging for Android devices. 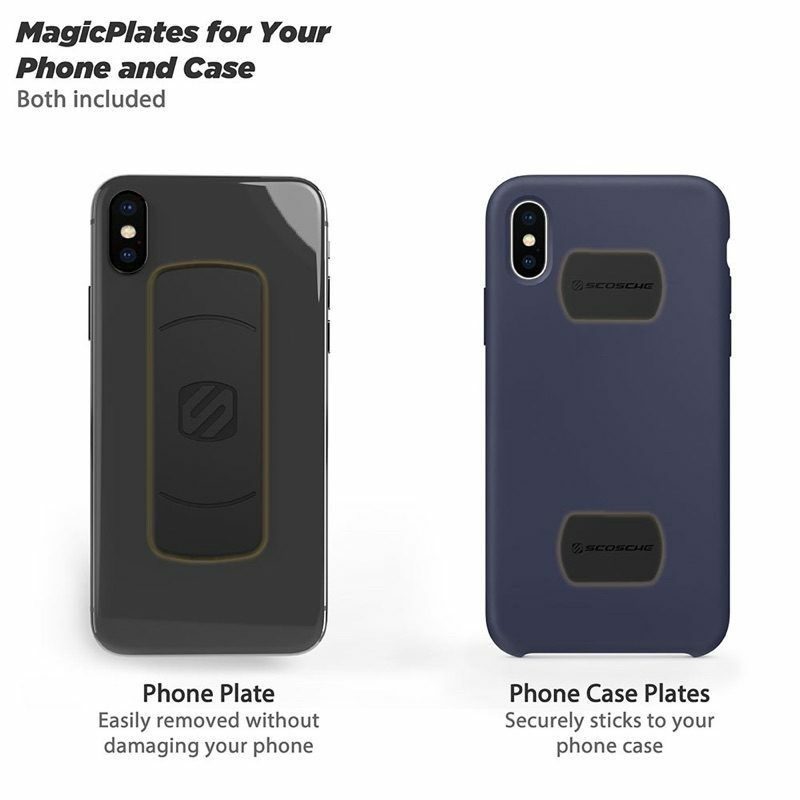 The MagicPlate attaches to the back of an iPhone or an iPhone case using an adhesive, with the iPhone plate able to be easily removed. A StickGrip suction base at the bottom makes sure the MagicMount stays in place while you're using it, and the charging portion can be swiveled, rotated, or tilted so you can adjust your iPhone's display to where you want it. A power adapter is included with the MagicMount Pro Charge, with the cord routed through the base of the device. 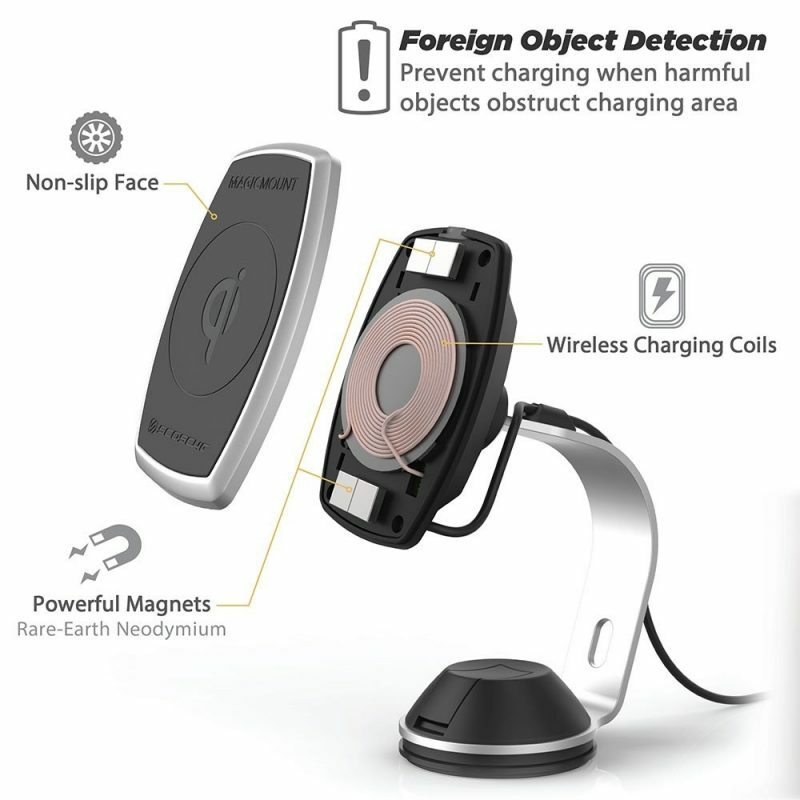 As with most wireless chargers, foreign object detection is included to prevent accidents from overheating. 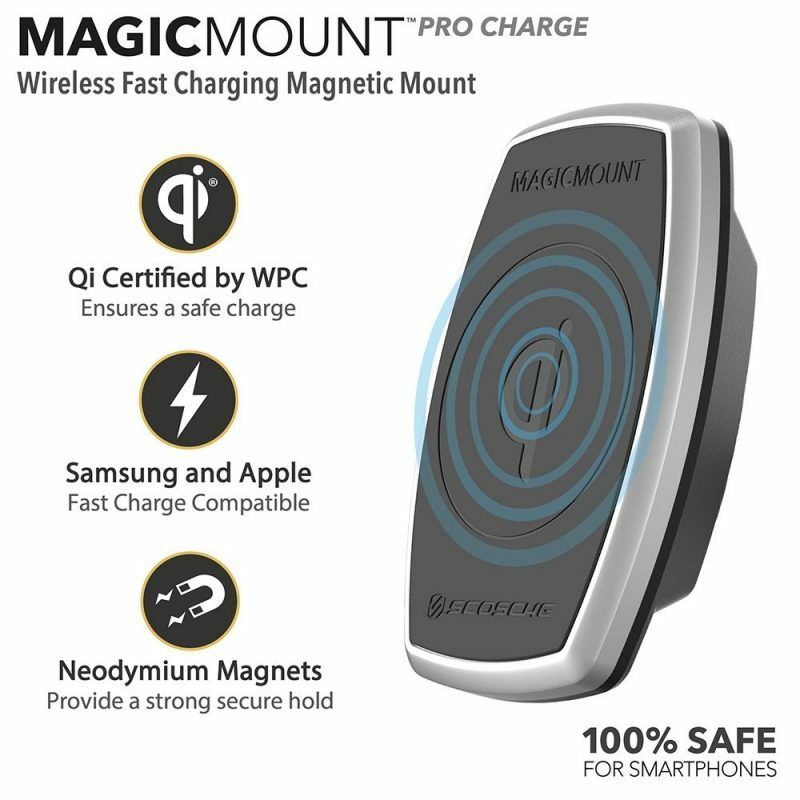 MagicMount Pro Charge is Qi-certified and has been laboratory tested to ensure safety, energy efficiency, interoperability, and more. The charger works with the iPhone 8, 8 Plus, X, XR, XS, and XS Max. We have eight of Scosche's MagicMount Pro Charge accessories to give away. To enter to win, use the Rafflecopter widget below and enter an email address. Email addresses will be used solely for contact purposes to reach the winners and send the prizes. You can earn additional entries by subscribing to our weekly newsletter, subscribing to our YouTube channel, following us on Twitter, following us on Instagram, or visiting the MacRumors Facebook page. The contest will run from today (January 18) at 11:00 a.m. Pacific Time through 11:00 a.m. Pacific Time on January 25. The winners will be chosen randomly on January 25 and will be contacted by email. The winners will have 48 hours to respond and provide a shipping address before new winners are chosen.